Let’s begin Friday’s provoking thought with a few negative conceptions that our black community has allowed to fester far too long. These racist messages were created to perpetuate the continued demise of our communities. They were meant to indoctrinate a sense of disbelief in our ability to excel because we supposedly lacked the essential inner resources within our being that secured growth, promise, desire, determination and will to succeed. 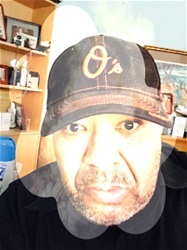 Today, The Black Blogger is discussing the mission of erasing these negative misconceptions created to stagnate any possibility of community unity. Let us focus on just one of these misconceptions that we seemingly have internalized and caused so much damage in our communities that have encouraged black illiteracy. Whoever originated this statement did so to create a conception that black people aren’t interested in reading to advance their personal knowledge base. I know you have heard and some of our brothers and sisters have repeated this statement. Not fully comprehending just how this simple statement has encouraged some of our community to buy into this nonsense. I have heard black comedians repeat this line about how blacks relate to reading books. This is so ridiculous a statement. It is so asinine to malign our communities with this message, Especially considering how our ancestors were hung from trees, were terrorized, and brutalized, simply because they attempted to learn and master the skills of reading and writing. One of the main strategies utilized by the oppressors was focused on keeping our ancestors ignorant so that our ancestors could be easily controlled. So when I hear this statement coming from people of color I cringe. Why? Because it means that we are allowing this lie to continue to promote the ignorance that our ancestors fought so courageously to erase. I know you have heard someone say it haven’t you? The Blackman Who Reads Aloud provokes a thought today about the importance of promoting reading comprehension. If you can understand the importance of being a strategic reading you will then relate that importance to being an active problem-solving. One's ability to read, write, listen, speak, and think critically, allows that individual to merge creative thoughts into direct meaningful action. Why is that so important? Well, erases any possibility of maintaining any degree of ignorance in our communities. Absent ignorance black communities will prosper, it is only natural. Absent ignorance, black murder rates will decline. Absent ignorance, the economic fortunes of our black communities will elevate. 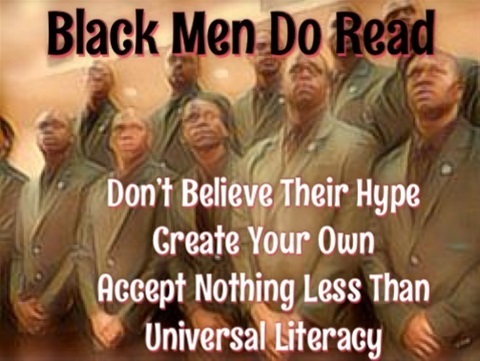 That is why it is imperative that we motivate our black communities to seek universal literacy. You absent illiteracy in our black communities anything is possible. Let's move away from selfishness and move towards self-determination to erase this plight that has infected our communities. If we concentrate on ensuring that every person or a significant majority of individuals in our community develops the essentials skills to become active and engaged readers believe me when I say we can turn those existing deserts of ignorance into a human oasis of progress, hope, and social change.